Mystics, saints and spiritual writers all attempt to reveal the invisible reality of God in our everyday. First, they guide us towards paths of deeper knowledge of the presence of God thought their own lives of faith, hope and charity. Second, they invite us to enter more deeply into the mystery of God’s presence through their wise counsel and inspired writings. Like Thomas Merton, Teresa of Avila and Saint John of the Cross, and many others, Fr. Thomas Keating, a Cistercian monk, can be included in the canon of the spiritual giants of the Christian contemplative tradition. More than anything, he felt a call to revive contemplative prayer practice for all Christians in the spirit of the Vatican II Council. The 1960’s were a time of profound change in society and in the Church. The Vatican II council was an ecumenical event advocating dialogue with other Christians and people of other religious faiths: among others, it promoted a revival for scriptural studies and rendered the liturgy more accessible by using the vernacular instead of Latin. 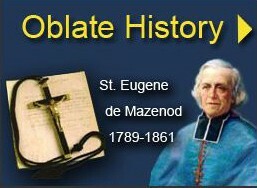 One key feature of the council was to insist on the universal call to holiness of all the baptized. 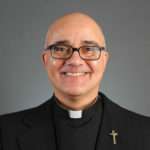 The repercussion was to value the vocation of the laity through a vision of the Church as a pilgrim people of God, lay and ordained, journeying together as true collaborators in ministry. Inspired by this ambience of spiritual renewal in the catholic Church, Fr. Thomas Keating felt compelled to reclaim the contemplative Christian tradition for all people, especially for the young. He noticed with sadness how thousands of young people from all over the world were flocking to the East, especially India, seeking religious masters to quench their authentic spiritual thirst. How could the Church revive the contemplative tradition in a form that would attract people to be transformed for ministry? Fr. Keating’s work and the ensuing vision of the Contemplative movement, became the answer to this crucial question. Contemplative prayer was not “invented” by Fr. Keating. There is a history to its development in its present form. Many people contributed to its resurgence from the Christian tradition. For example, The Cistercian order were asked by the US Conference of Religious Superiors if the monks could help them with prayer. The post Vatican II years were becoming a strain and many religious were burning out in the chaotic aftermath caused by its massive disruptions. Change can be difficult! The first creative result was a form of prayer derived from contemplative prayer as described in the famous spiritual classic The Cloud of Unknowing. The present-day practice of Centering prayer evolved from both Fr. William Meninger’s “Prayer of the Cloud” and Fr. Basil Pennington’s centering prayer whom he taught to Religious provincials in a retreat in Connecticut. It is there that the term centering prayer was coined. Its appeal grew for ordained ministers, religious and lay people alike. It successfully reclaimed the richness of the contemplative tradition. 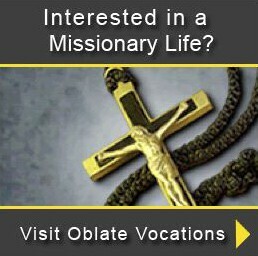 One oblate, Fr. 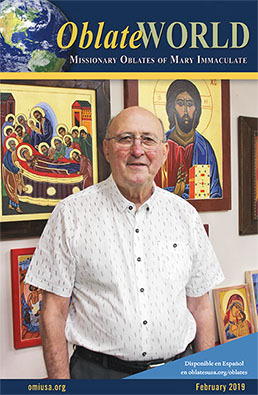 Bill Sheehan, OMI was one of the pillars of the Contemplative Outreach network. He was one of the original twelve participants who attended a two-weeks retreat of non-programmed prayer. In essence, it was the first Centering Prayer retreat, given by Fr. Keating in 1983 for the Lama Intensive Study Center. The roots of Christian contemplation are ancient. They can first be traced to the many hours of silent prayers Jesus spent, especially before the breaking of dawn and the morning meal. He sought God’s presence as his most important sustenance. Keating asserts that for Jesus, contemplation was more important than food! It was then practiced and taught by the dessert Fathers and Mothers in Egypt, Palestine, and Syria including Evagrius, John Cassian, St. John Climacus. In the patristic age, this form of prayer was experienced by St. Augustine and St. Gregory the Great in the West and Pseudo-Dionysius and the Hesychasts in the East. In the middle ages, St. Bernard of Clairvaux, William of St. Thierry and the Rhineland mystics including St. Hildegarde, Meister Eckhart and Tauler were proficient in contemplative prayer. After the reformation, it was practiced by St. Teresa of Avila, St. John of the Cross and the French mystics such as St. Fancis de Sale and Bérulle. Contemplative prayer took many names according to its various forms: Pure Prayer (Cassian), Prayer of Faith, Prayer of the Heart, the Jesus Prayer, Prayer of Simple Regard, etc… As mentioned before, the method of Centering Prayer is primarily based on the famous English mystical text, The Cloud of Unknowing and also on prayer in the writings of Saint John of the Cross. Centering Prayer is an updated format of the teachings of earlier times with a certain order and regularity integrated into it. The sacred word is a symbol of the intention of consenting to God’s presence and action within. Unlike the mantra of Eastern practices, the sacred word is not repeated constantly to develop concentration or create a form of spiritual hypnosis. Contemplative prayer is not a technique to enter into an altered state of consciousness or to attain total relaxation or psychological well-being. Thus the sacred word hones the intent of coming back to God ever so gently in order to let go of the inevitable distractions that come when engaging in non-discursive silent prayer. In fact, experienced practitioners of contemplative prayer seldom need to resort to the sacred word anymore. It is no longer necessary. One participant, a nun, is said to have told Fr. Keating during a retreat; “but I had a million distractions during prayer.” In her distraught, she seemed to believe she was “failing” at the practice somehow. Fr. Keating answered “that is wonderful, that means you had one million occasions to return to God!” He believed the only thing you can do wrong in this form of prayer, is to get up from your chair! How consoling for all of us! !